NASHVILLE, Tenn. – Austin Peay’s Terry Taylor earned Tennessee Sports Writers Association Men’s Basketball Player of the Week accolades Tuesday, registering a double-double, including a career-best 32 points, in a victory against Purdue-Fort Wayne. The Bowling Green, Ky., native made 14-of-22 shots overall, netting 18 points in the first half and 14 in the second. The sophomore forward grabbed 11 rebounds and handed out a career-best five assists for his fifth double-double of the year in 10 outings. Taylor is averaging 17.3 points and 9.3 rebounds this year for the Govs. 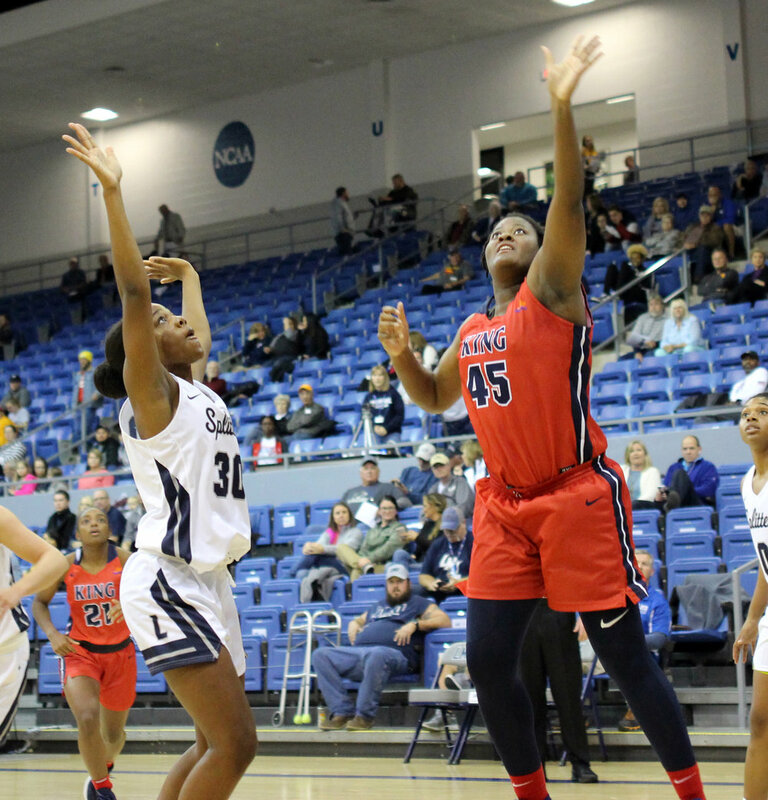 NASHVILLE, Tenn. – King University’s Kori West posted Tennessee Sports Writers Association Women’s Basketball Player of the Week honors Tuesday, averaging 15.0 points, 13.0 rebounds and 4.0 blocks in two games for the Tornado. The Shelby, N.C., native recorded 11 points, 14 rebounds, five assists and five blocks in a six-point loss to Carson-Newman. The junior connected on 5-of-12 shots overall and collected her fifth double-double of the year. West followed that with 19 points, 12 boards and three blocks at Newberry College, as the Tornado handed the Wolves their first loss of the season. She made 8-of-17 shots from the field and ran her double-double streak to five straight. West is averaging 15.8 points, 12.1 rebounds and 2.3 blocks per game this season.